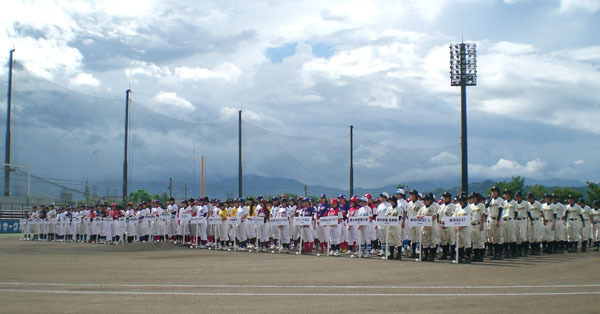 The 7th Japan Women's Baseball National Championship, the biggest event for Women's Baseball Players Started on August 6th for 5 days at Madonna Stadium in Matsuyama City, Ehime prefecture. 27 participating teams from Junior high school to the club teams. This is the only nation-wide event where all age category (from Junior High to Club teams) compete in one tournament and literally, decides the No.1 women's baseball team of Japan.